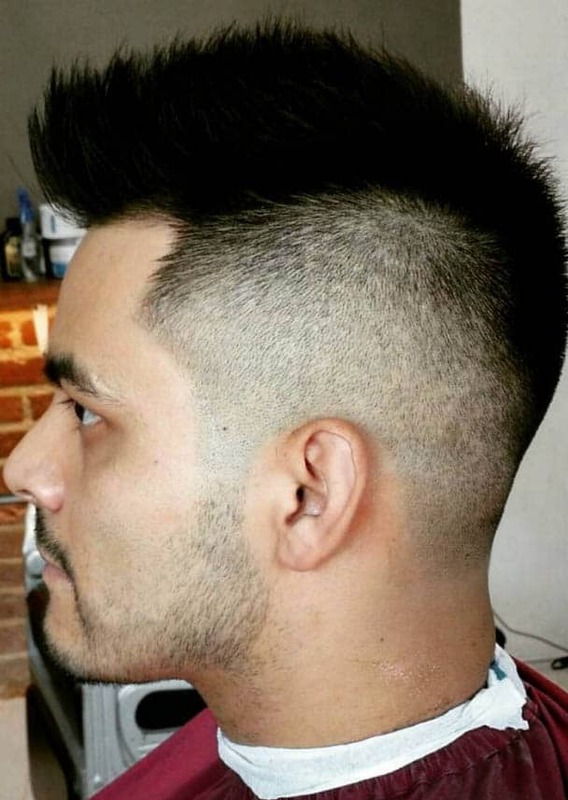 Most men’s haircuts are a variation of longer top and short sides. Learn why the medium length haircut is good for you. Styling a good haircut is a lot of work. Most times, it pays off after a great deal of maintaining the hair texture and regular visit to the barber. For men that do not have much hair on top, they tend to look for an alternative hairstyle. The medium length hairstyle is the best option. The good side is that it is suitable for the balding man and men with voluminous hair. Putting the cut together can be a herculean task. 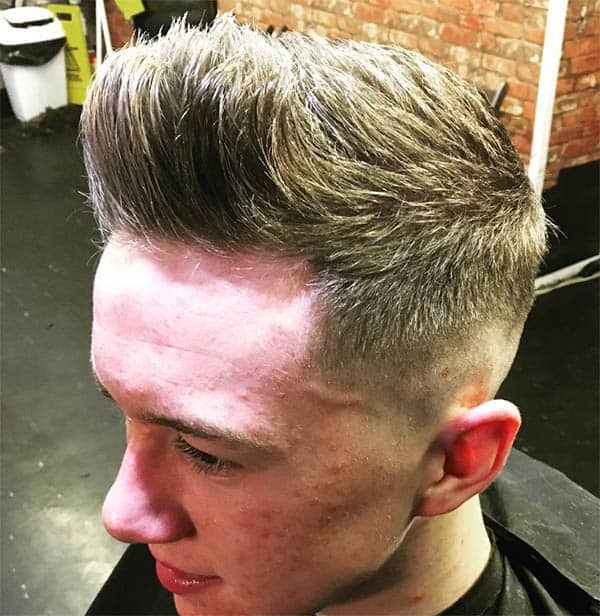 With a skilled barber at the side and the right texture, you can make a lot of impressive with your medium cut. The style has been trending for a long time and is a good variation to traditional hairstyles. 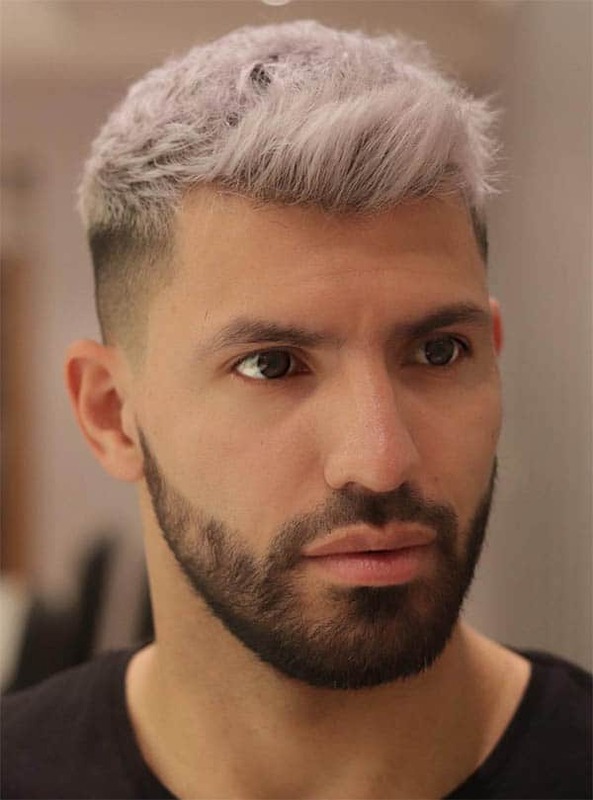 If you are curious about the hottest ways to style medium length hairstyles for men or you need inspiration, here are amazing cuts you can try. We all know how cute a man looks when he shaves. With the right hairstyle, he is certain to put up an impressive appearance. 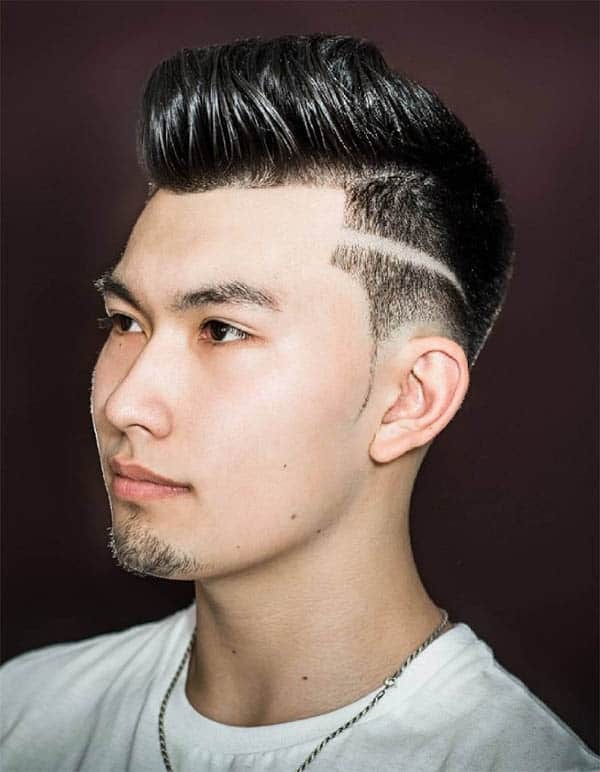 While the hair is medium, you can make some creative moves by rocking a tapered cut at the top. You can also throw in some choppy textured hair on the top for a dignified look. 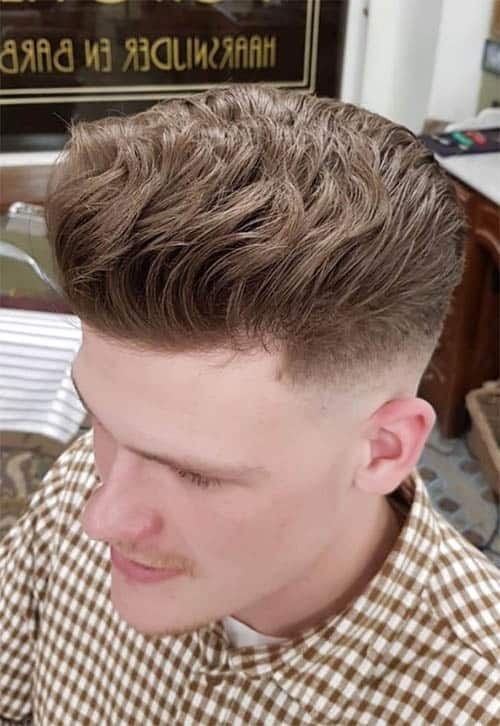 The pompadour haircut is literally as “old as a man”. The style has been in existence and is virtually the everyday cut for the stylish man. 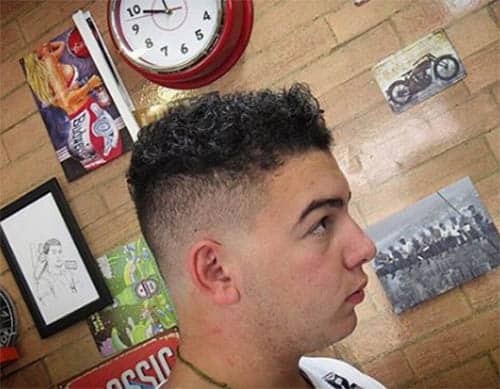 If you are looking at the next style to get when you visit the salon, a pompadour with tapered sides is the sure pick. There is a lot of creativity that goes with styling a haircut with some fades. The textured hairstyle readily comes to mind when making a choice of a style for the medium length hair. 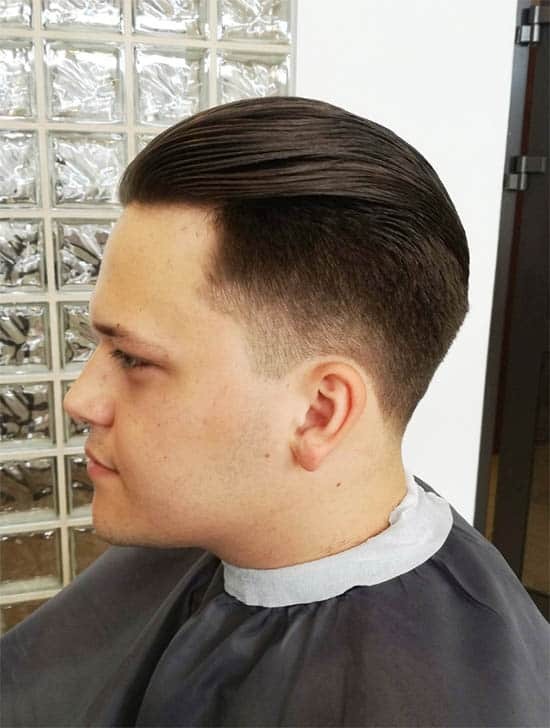 This is a recreation of the conventional pompadour haircut and throws in some texture for a modern look. Now, with fades at the sides, you can coast home with a stylish look. 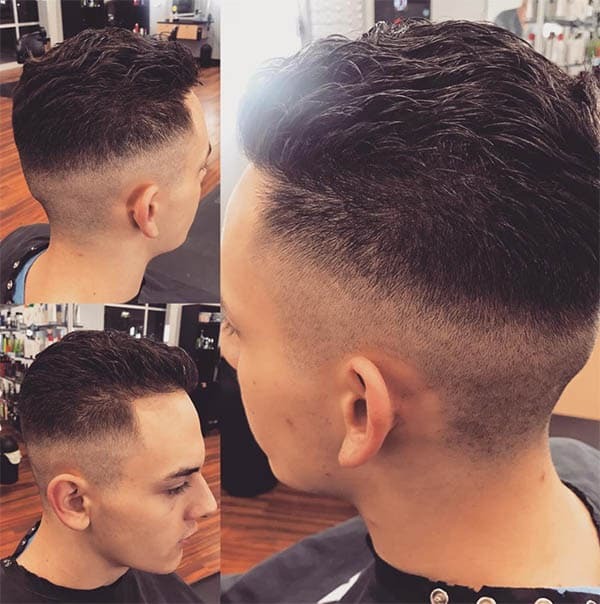 The tapering at the top can get some facelift with low fades. 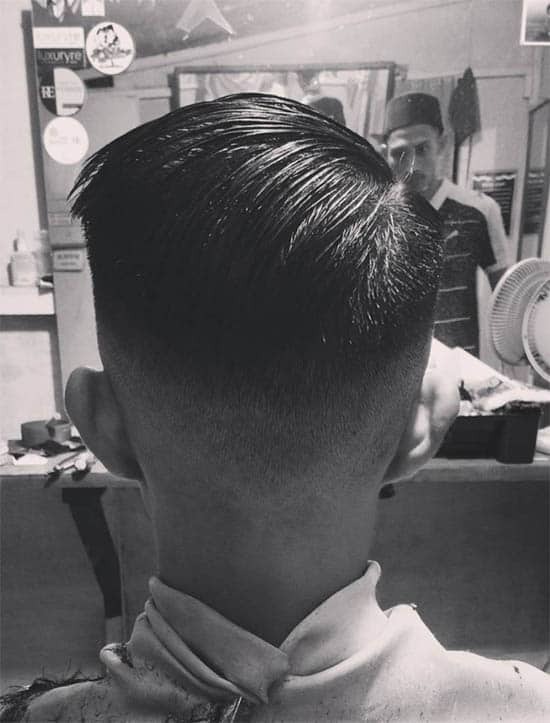 While you keep the classic tapers at the top, consider putting up low fades at the sides and nape. You never can tell! This cut might spin heads when you hit the road. 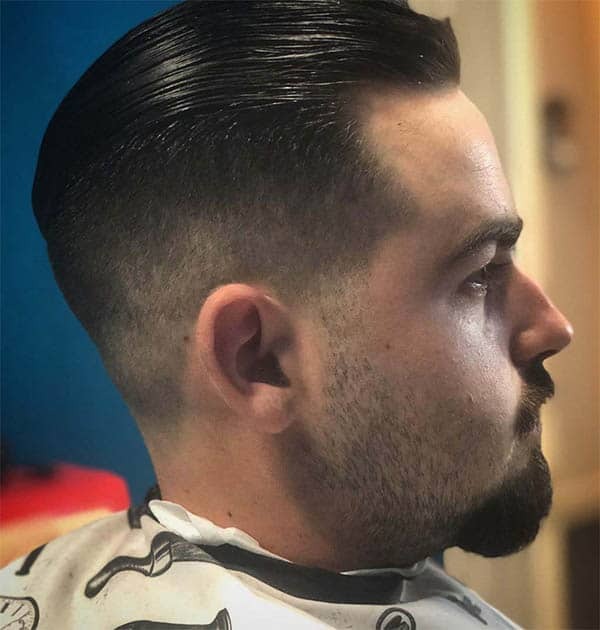 The slick back haircut is a unique cut for the classic man. With a medium length hair, you can make the best out of this unique cut. To start the show, blow the strands dry and brush back with visible comb lines. With tapers at the back and neat undercuts at the sides, you are good to go. The quiff haircut is a definite choice for men with medium length strands. 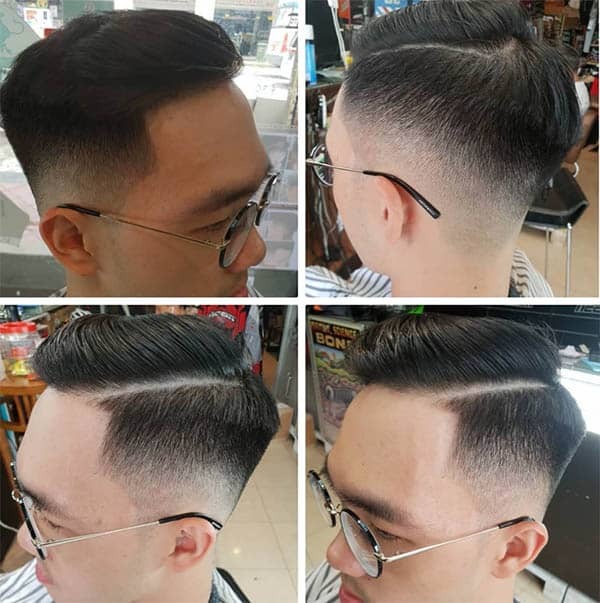 For the stylish man that wants to put shades of confidence and class, this haircut is a good option. With some styling gel at your disposal and a good barber with the right skills to style it, the quiff will be a good match for your hair. 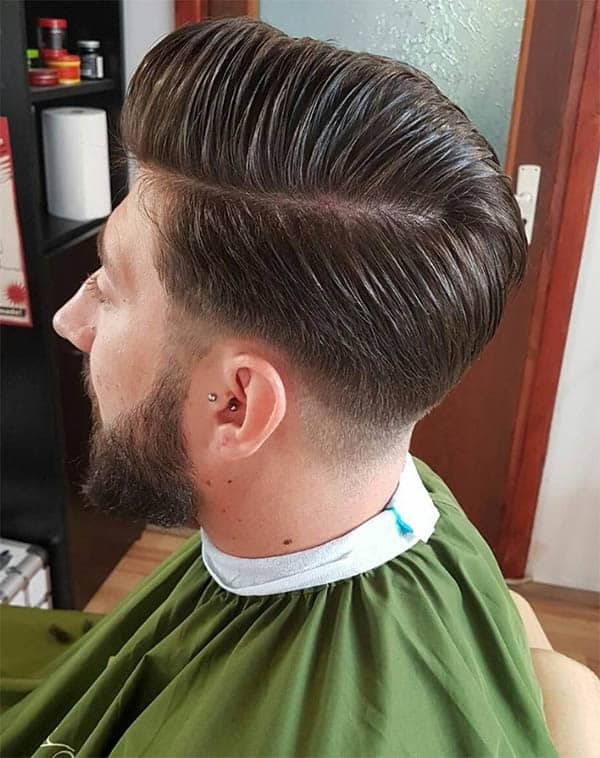 Whether you are growing your hair out or you want to commit to an extreme haircut, the pompadour is always there for you. The cut reinvents with a skin fade at the sides. If it must remain trendy, you need to be a regular face at the barbershop. The curved edges set it apart from the flat top haircut. 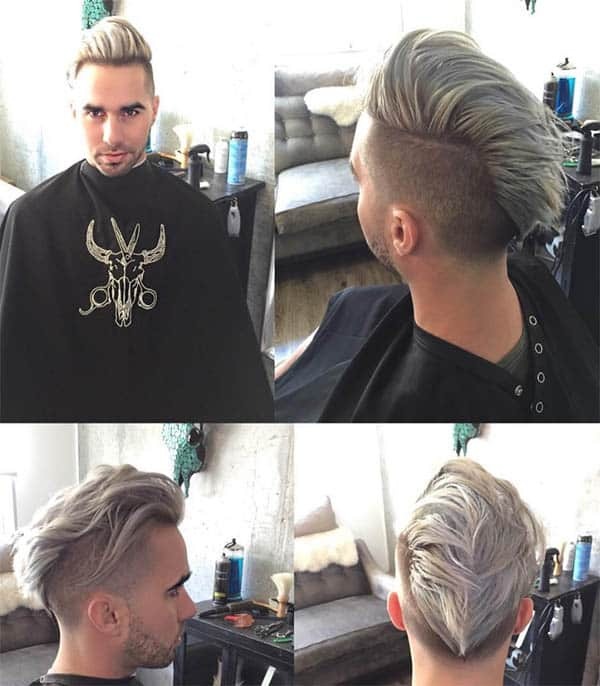 The sides and the nape get a touch of the skin fade and a side part makes it a cool look. We acknowledge the fact that you have few strands to spare for different styles. However, if you can commit to the blowout haircut, you will not only be making nice impressions but will be at a chance to gain more strands. This is a recreation of the wind and you ought to have a hairdryer and hairspray to achieve the definite look. 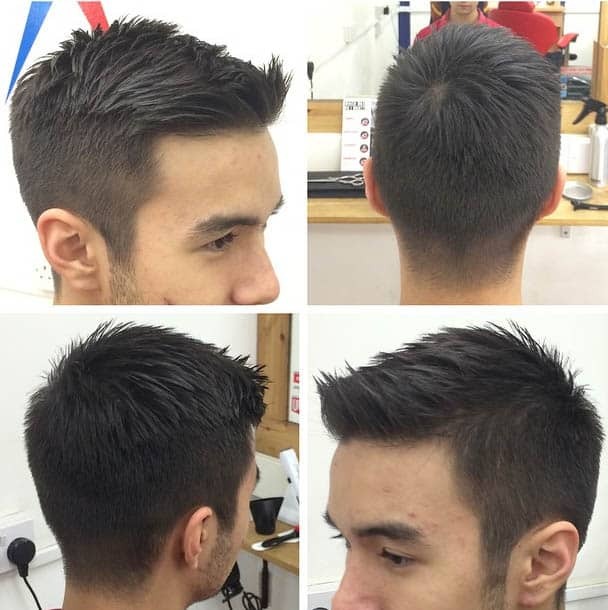 You can actually pull off a great look when you combine the quiff with low fades at the sides. Grow out the top by using a gel and comb to prop it up. 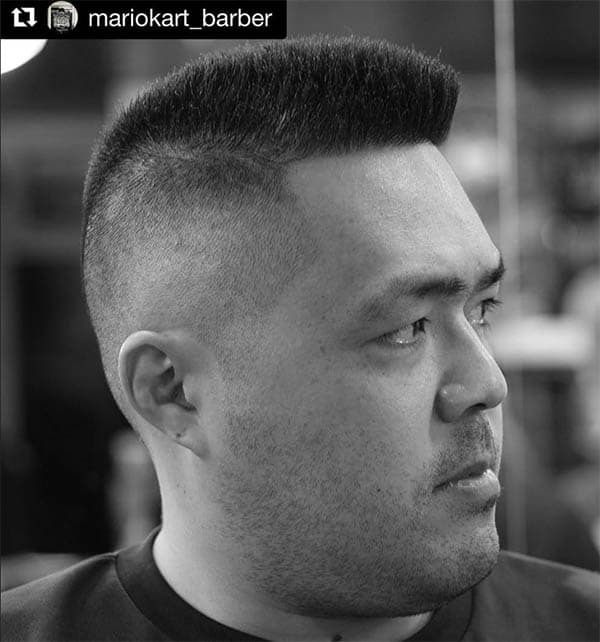 For the sides, let the barber trim accordingly to the texture at the top. The comb-over is another pick when styling the medium length hair. Throw some strands to the sides and use a styling gel to keep this in place. If you love adventure, you might consider a deep part at the sides for a definite look. The list will not be complete if the undercut is not on the radar. 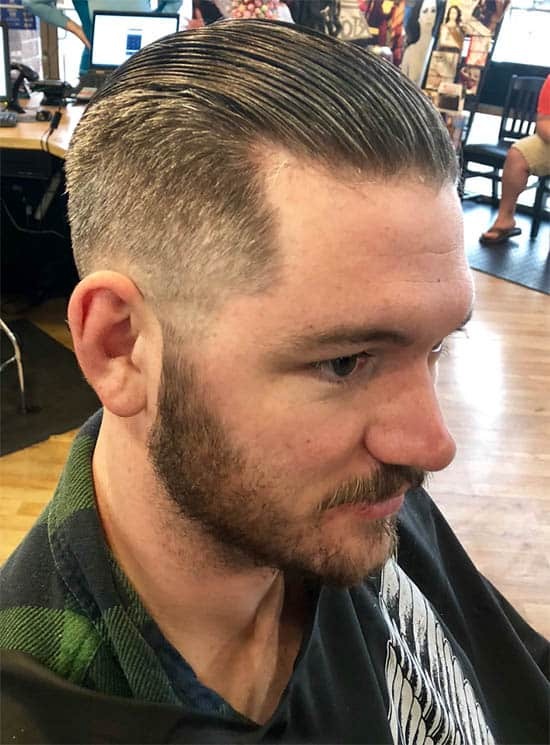 This is a unique way to make the best out of medium hairstyles for men. The undercut haircut is essentially for fewer strands and with a great deal of styling; you will get a good look. 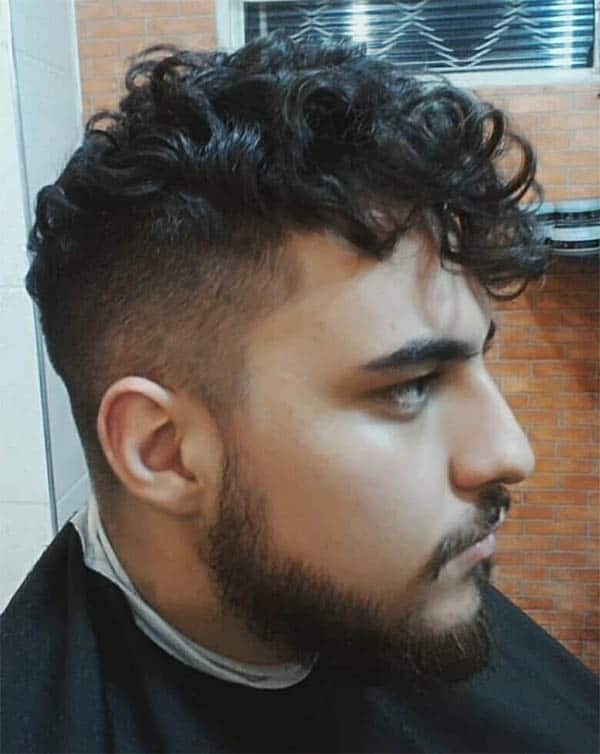 If you have some curly strands and want to make the best out of the medium length, you can bet on the wavy haircut. 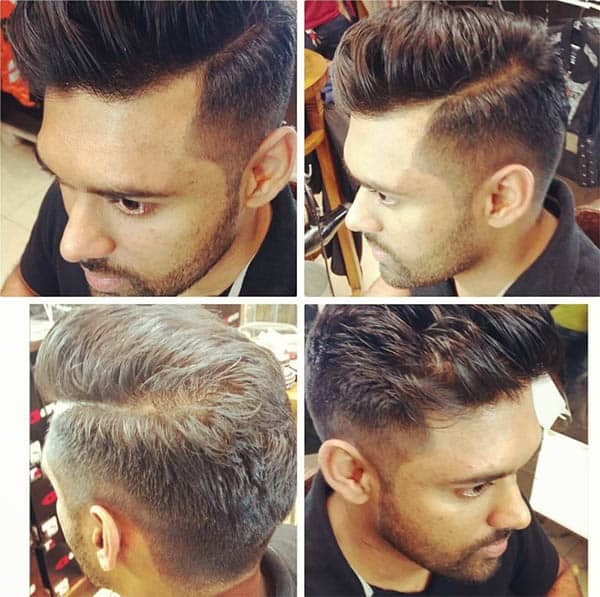 For men with some waves at the top, the layered pattern of the cut brings out the natural texture of the strands. In addition, you might want to throw in some high skin fade for a complete look. Adventure readily comes to mind when the fringe haircut is in the offing. Despite the medium length of the strands, you can make a bet on getting long fringes at the top. 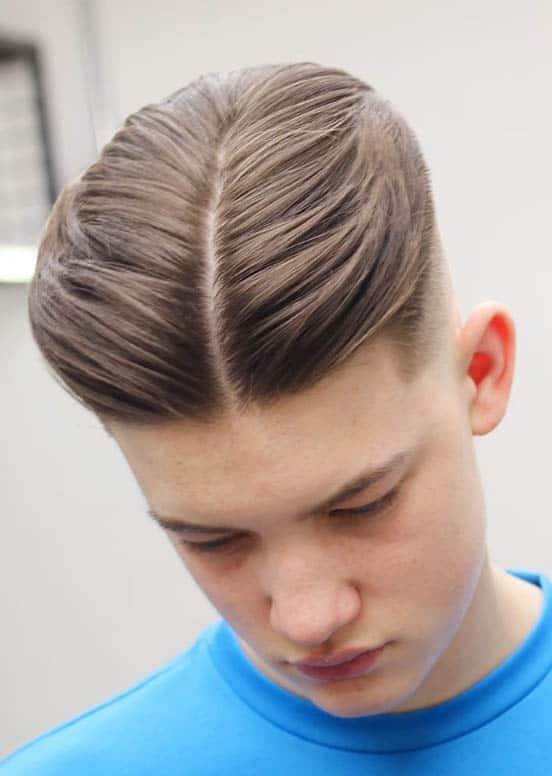 For a boyish look, consider a side part and medium fade. We have our favorite slicks back in the game. 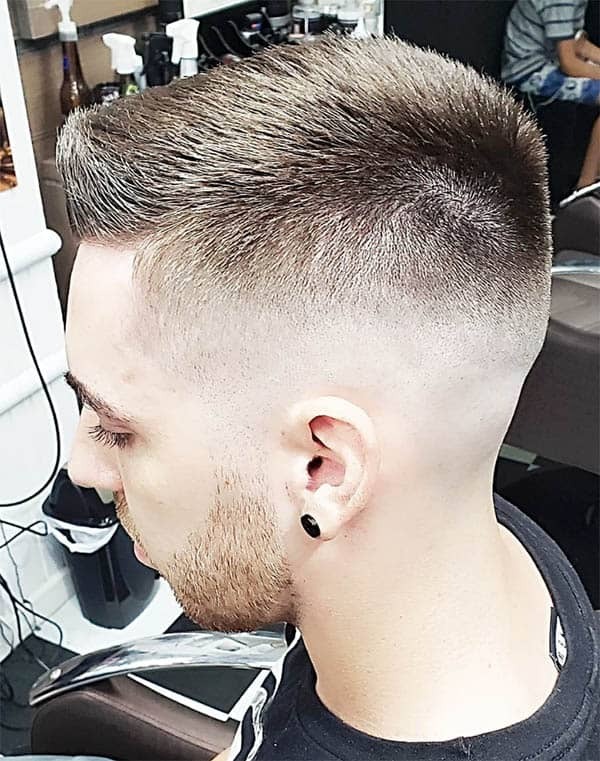 With a high fade at the sides, you are certain of looking cool. 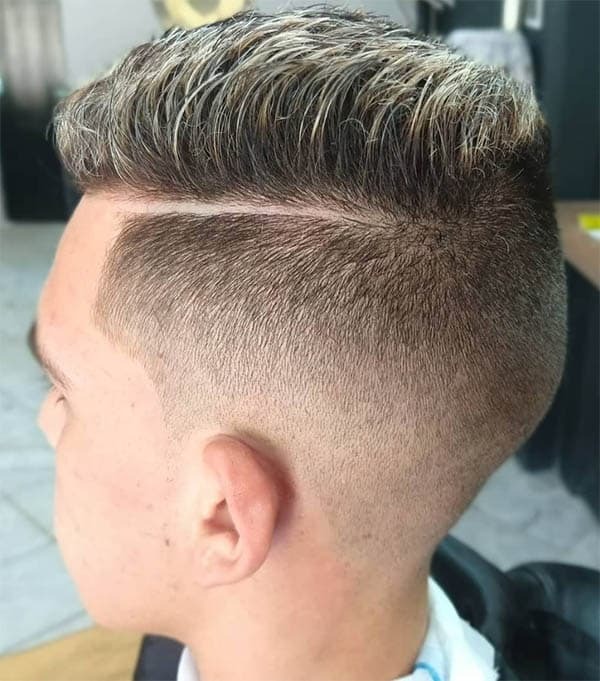 The hair at the top creates a disconnected look to the high fades at the sides. 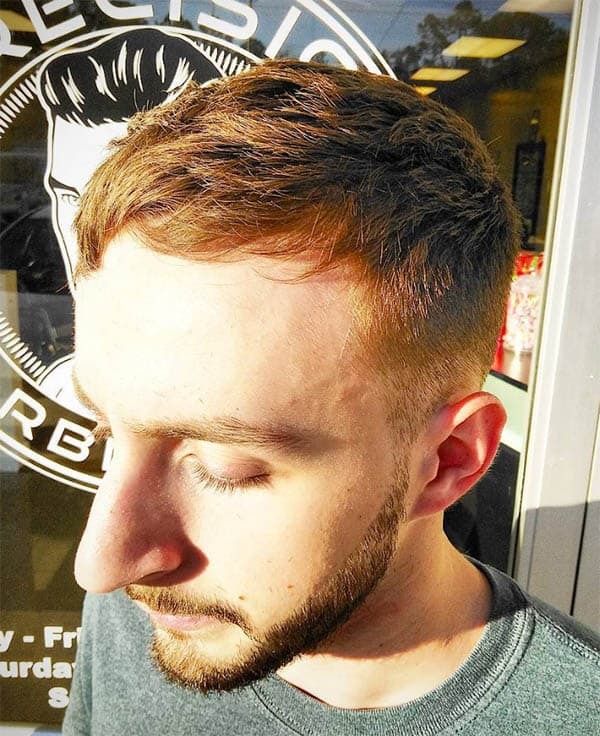 This cut is easy to style and there is no doubt that you will get a clean look after the styling. The side part is a styling arsenal that presents a definite look to any cut. This can come in for the classic pompadour and make it all new. 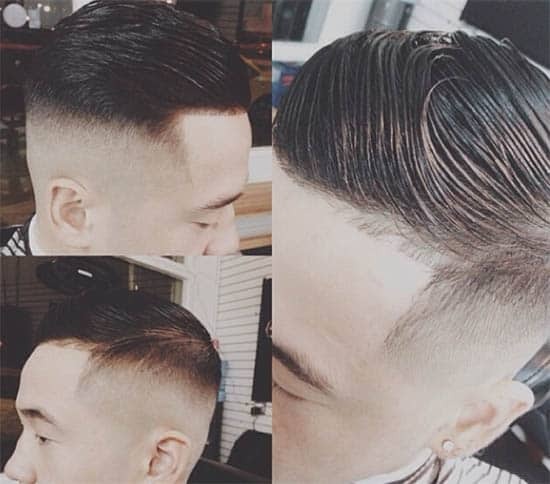 With the top groomed into the comb-over, skin fade cleans up the neckline. There is no messy look when the bangs are in the center of the game. For the medium length hair, it will make a lot impression. 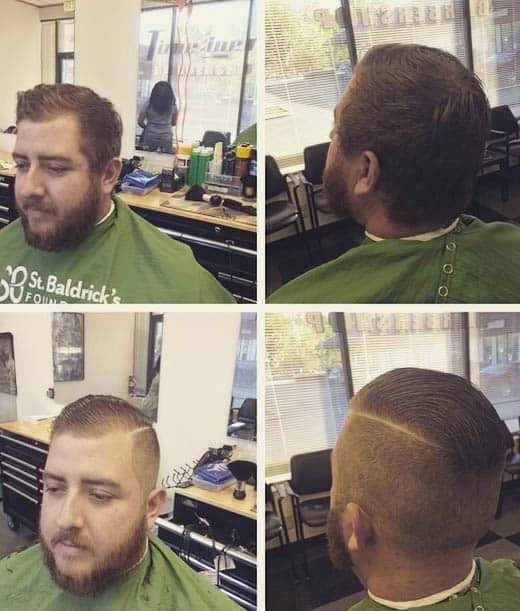 The key to pulling it off is to maintain neat sides by deploying the tapered cut. It is a common notion that when two great hairstyles are in the stage, the hair gets enough twists to get a classic look. Now, the Mohawk and Undercut hairstyles are paying tribute to the medium length strand by their combination. Style the top with the Mohawk touch and maintain clean sides with inspiration from the undercut. The low fade haircut is a popular choice for men that worth their salt in the fashion world. 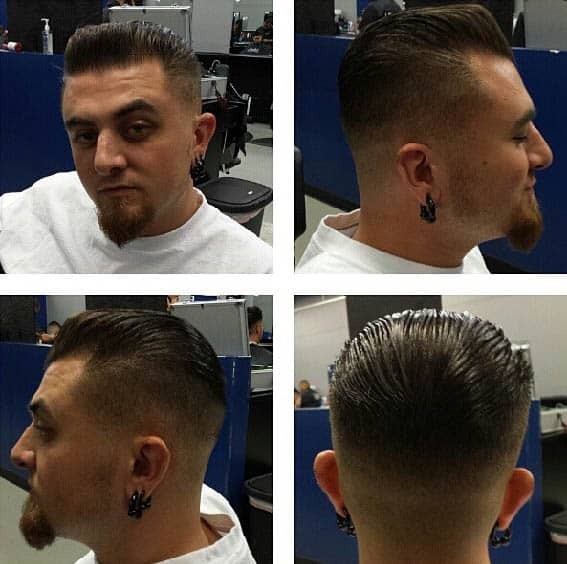 With its sophisticated looks after a style, keep the low fades beneath the midway line of the top. 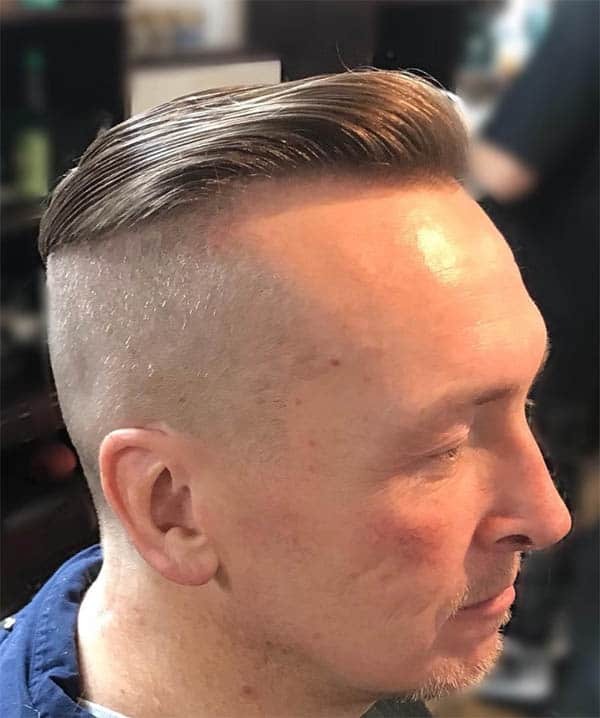 You might consider throwing some side parts to disconnect the medium strands at the top from the subtle edge. You are not a bird but you can fly with the faux hawk haircut. This style is similar to what you get on the Mohawk but they exist in different worlds. While you style the top to a textured fit, mid shaves can come in at the sides for a clean look. The fringe is coming in another variation. This is a recreation of the slick back haircuts. Now, the strands are moving forward and get some textures at the top. With this style, you can never be off guard in style. 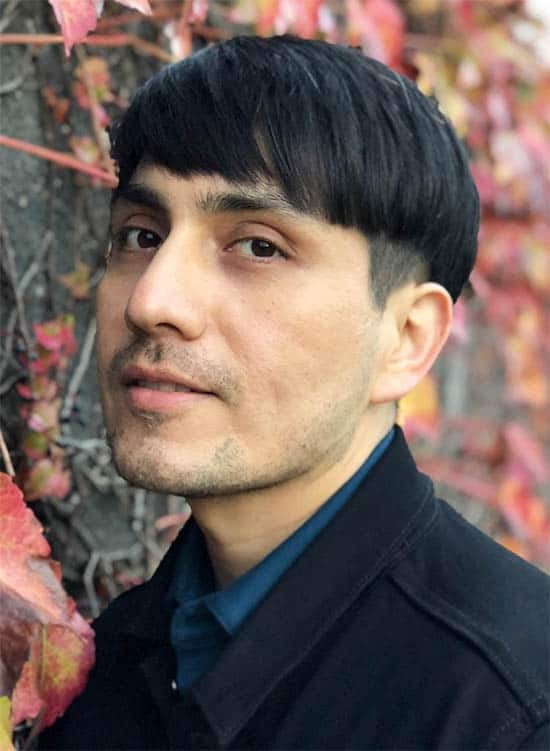 Who would have thought that the bowl cut will be a great style to the medium length haircut for men? The popular cut for models on the runway is a good pick for your few strands. There are many ways to reinvent this to work for you. It will be a nice idea to style the flat top. However, make sure it will be suitable for you. If not, go for another cut. The flat top is best for men with square and oval faces. So, if you are in that category, take a shot at it. Despite the fact that the pomp seems classy, there are some bits of adventure to it. The versatility in incorporating different styles entrusts you with the key to pull off some slicks. With the fades making nice impressions at the sides and crown, add a fresh style by twisting the top strands. We know the slicks never go out of style but take different dimensions to achieve a well-defined classy look. This time, it is going back with a great deal of comb styling. Use a streak comb to get the ultra wide tooth marks and apply high fades at the sides. It is a norm to keep the comb-over with faded sides. For a classic look, you can actually change the narrative and get some great styling with the cut. Keep the tapers down to the skin and remember to add some part at the side. This is the absolute perception to the medium length hair. By matching your few strands with an accompanying medium fade, you will be on the way to a classic look. 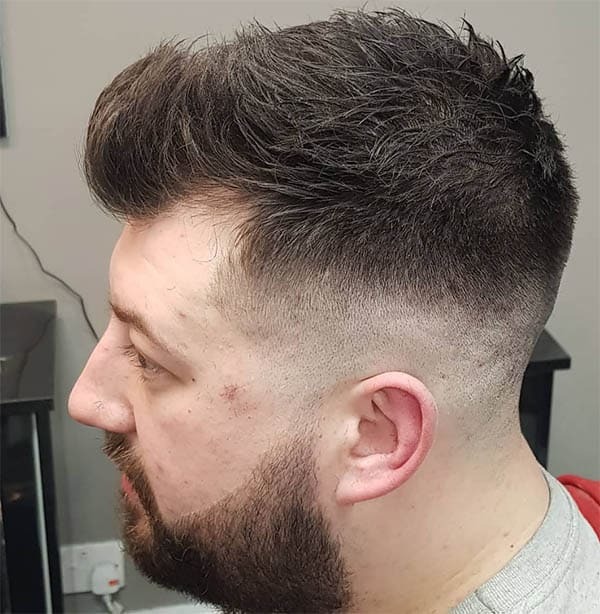 The good tiding is that the fades can suit many use cases (such as styling to a pompadour). It is a truism that the undercut makes a lot of impressive and brings out the looks of a haircut. However, a disconnected look can be in the offing and still keep the hair trendy. By leaving a brushed up hair at the top, the undercut is now on the low at the sides. The notion that the messy top is not a cut for men might be wrong after all. 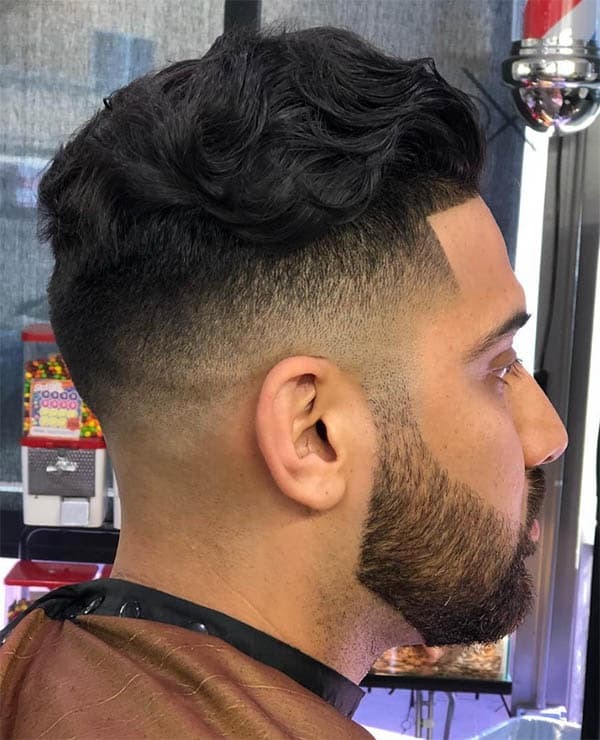 When the mid taper fade is in the picture, the style becomes the favorite of men with medium strands. A clean cut is the desire of every stylish man. The best way to achieve this is to stick to hairstyles that bring out the best look. 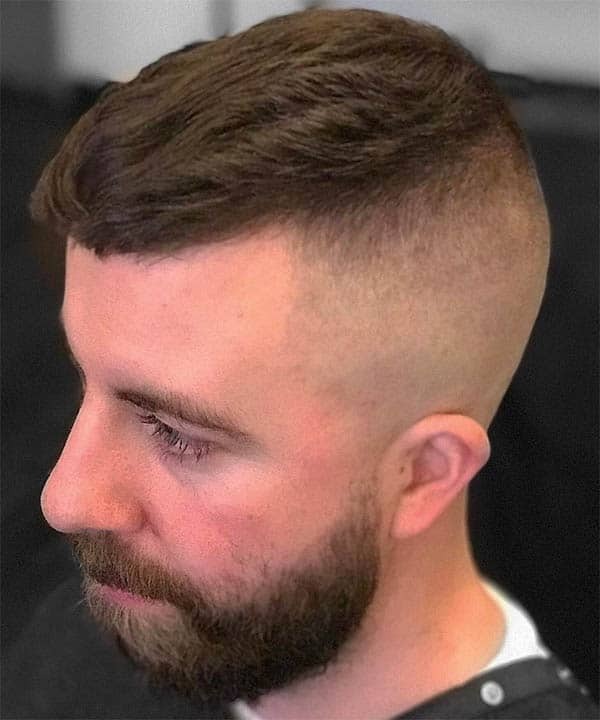 With a super clean skin fade at the sides and a side part between the fades and the medium top, there is denying the fact that a classy look is an outcome. The texture at the top does not come by without some styling. That is the reason why a gel and great skills are a necessity to pull off this look. Keep enough strands at the sides, back, and use a gel to texture the waves at the top. 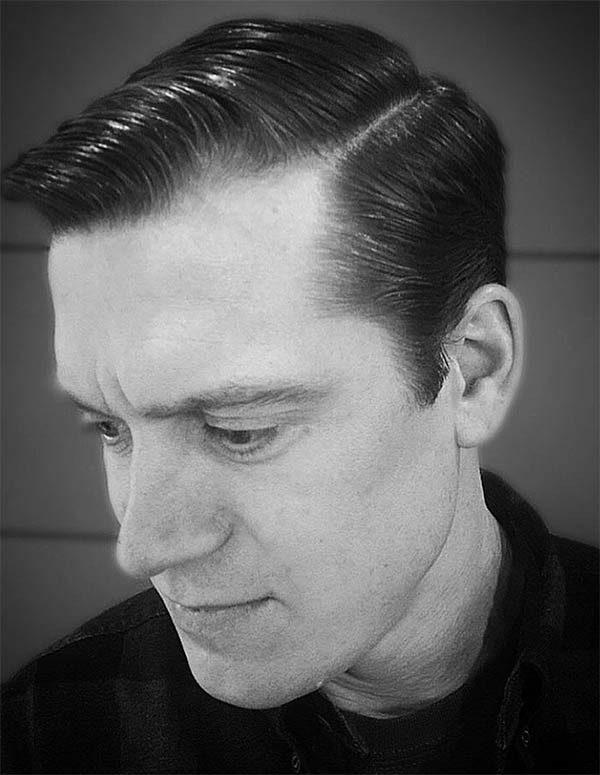 Even without having some waves at the top, you can pull off some waves (with a gel) on the pompadour. The medium length top gets some waves before styling to the desired height. The traditional slick back haircut entails combing the top back with visible touches of the comb lines. However, you can go back in the days by styling the classic slicks. These entail slicking the top and sides, and probably, add a razor line. If you must achieve this, a hairdryer is of the essence. Make sure you have some strands to spare before blowing the hair dry. The cut looks good on thick strands. While you achieve high volume at the top, utilize a good styling product to keep it in shape. When the tapers feature in a haircut, there is the certainty that it will be a classy look all the way. 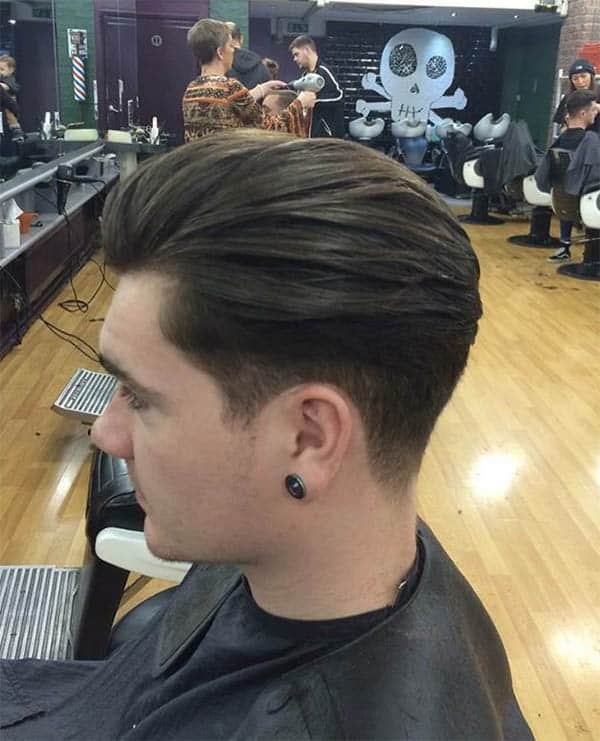 It combines with the long quiff to bring a refined look to the wearer. 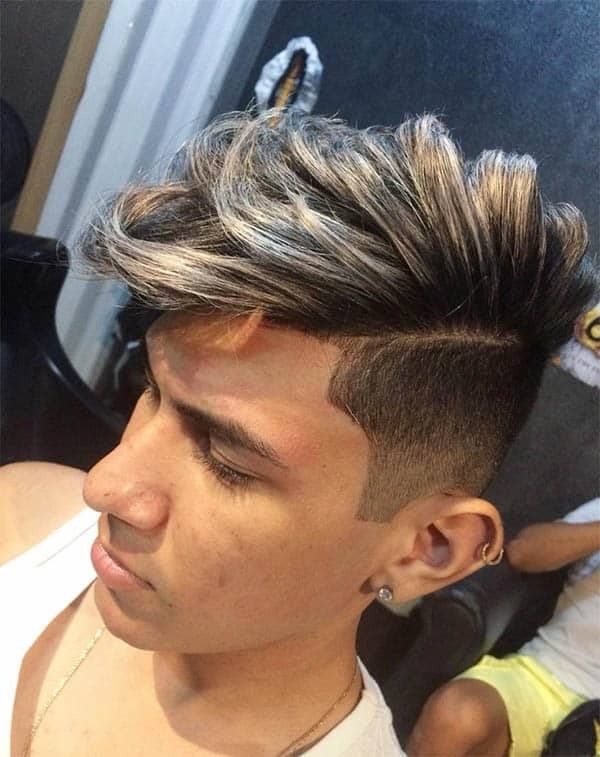 This is a variation to the traditional slick hairstyle. This time, the slicks will extend to the crown. 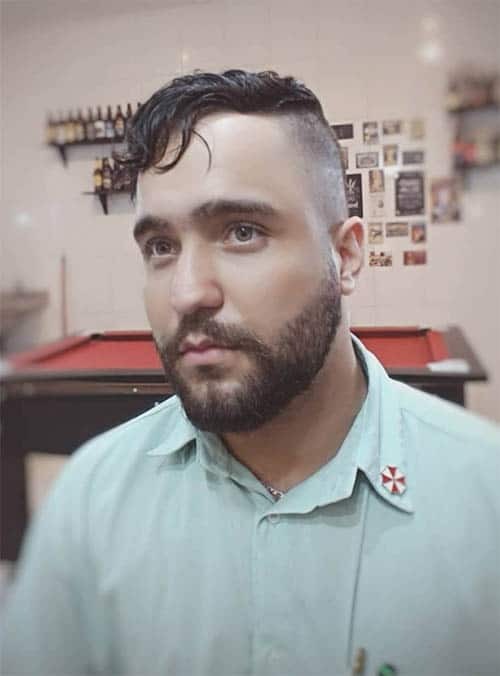 This cut is men who love adventure. To make it a masterpiece, consider using a gel for the top and clean undercuts at the sides. The refining power of the undercut in a haircut cannot be off the coast. This time, it is coming through for the medium length strands. First, the sides get a clean look with and follow up with a hard part that disconnects the top from the sides. This style is for the younger generation but the oldies can also have a test. This is different fades such as the low and high fades. 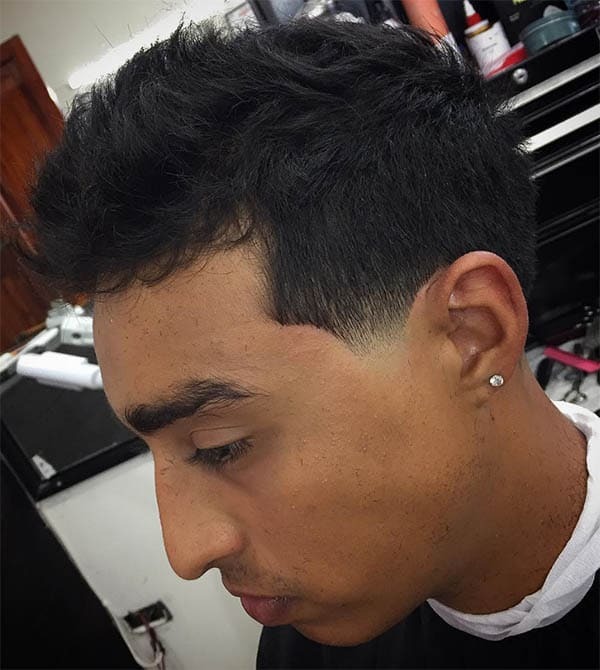 For the drop fade, the smooth, rounded fade gets few inches away from the ears. This is a classy style you should style to add a point of character to your looks. 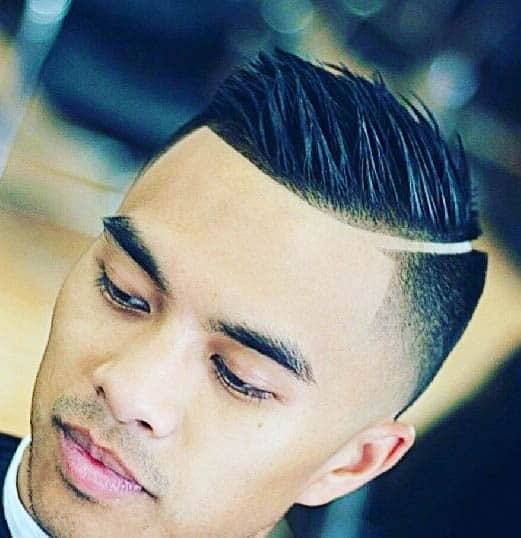 The tapers are one of the unique styles to every haircut. Now, they stand alone to make a definite look. 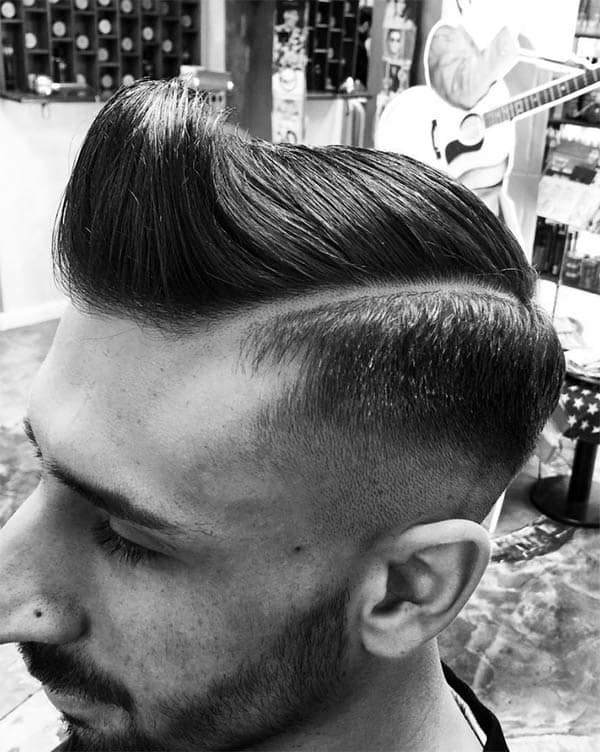 You can combine with a pompadour but make sure the sides get a clear touch of the tapers. 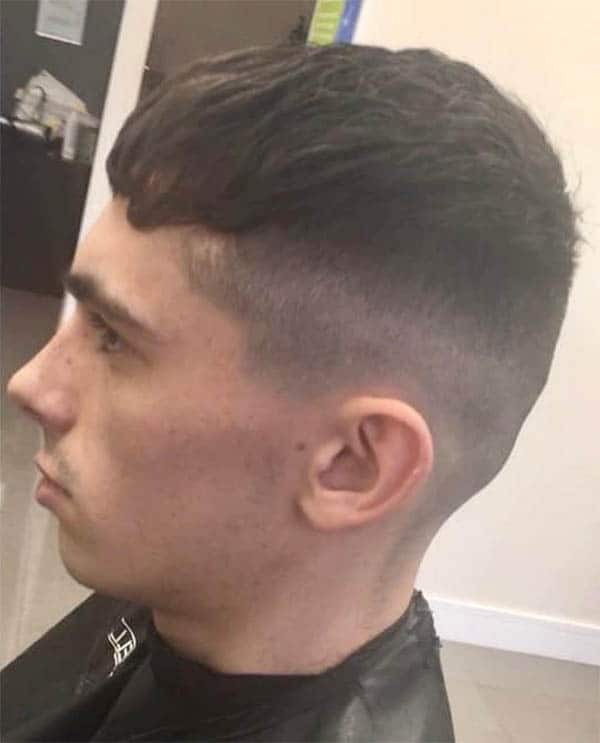 The parting adds a touch of style to men’s haircut. The stage is not for the side part alone. The middle parting is a nice way to show off your few strands. First, make sure the top trims to the desired length. Then, apply the middle part for a dignified look. “Adventure” is the synonym to this hairstyle. 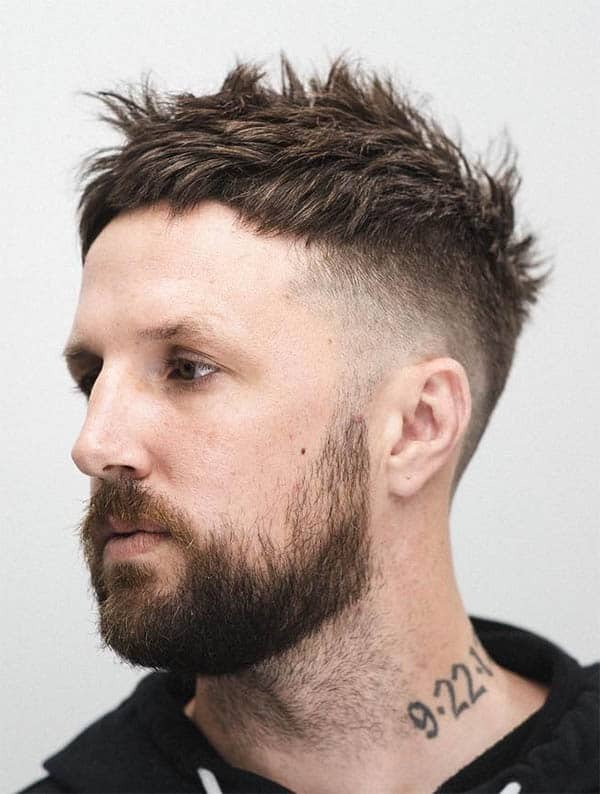 The fringe reinvents with long strands at the top and matching beard at the sides. You can style forward for an adventurous look. There is no great deal in keeping the medium length hair at the low. With the short sides, there is no denying the fact that you can pull off a great look without looking bushy. There are many haircuts out there. As the days pass by, different variations make their way into the fashion community. The above tips will help you in making the best selection for your next haircut. 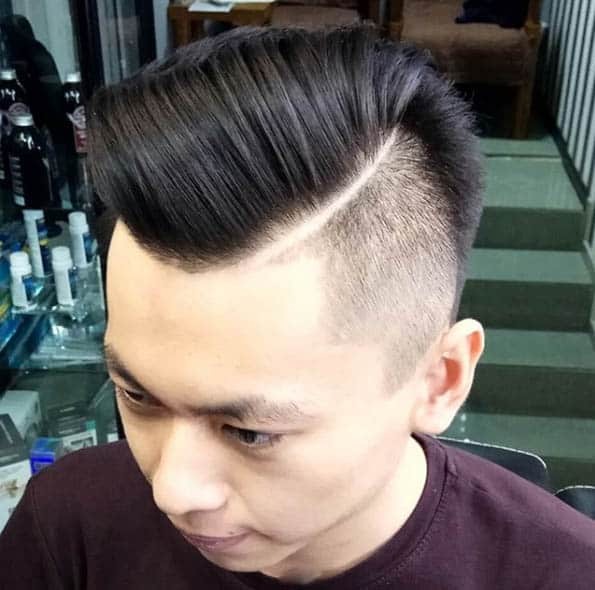 Men with fewer strands do not have to look further for unique hairstyles. 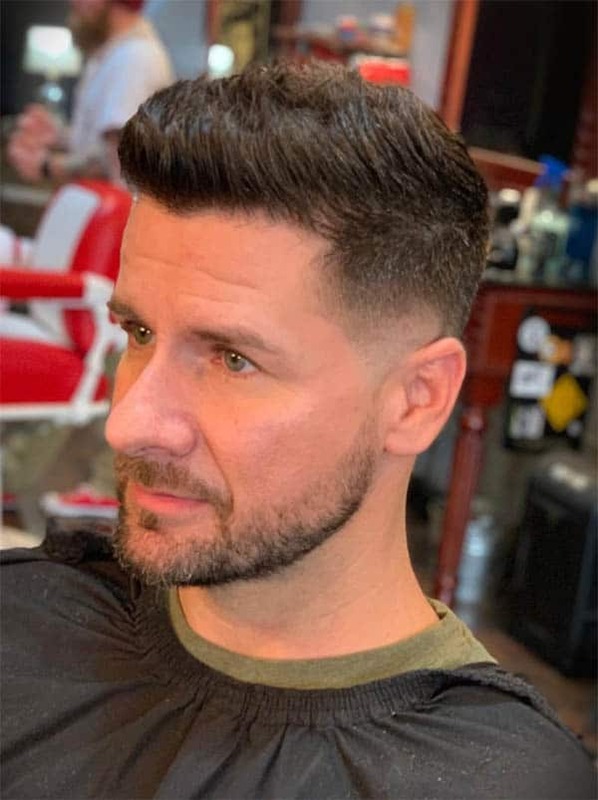 With the right styling products, a skilled barber and the determination to look classy, you can pull off nice medium length hairstyles for men. TrendySeekers was founded by a couple Randy Gardner and his wife, who left their steady jobs to follow their passion of traveling the world. With each passing destination, they discovered new and innovative items used in other parts of the world. A new door opened for them and they decided to make these selected products to every spirited person at reasonable prices. Whether it was creative way to charge phones or modern watches that do much more than just tell time, they decided to bring them all to one platform.